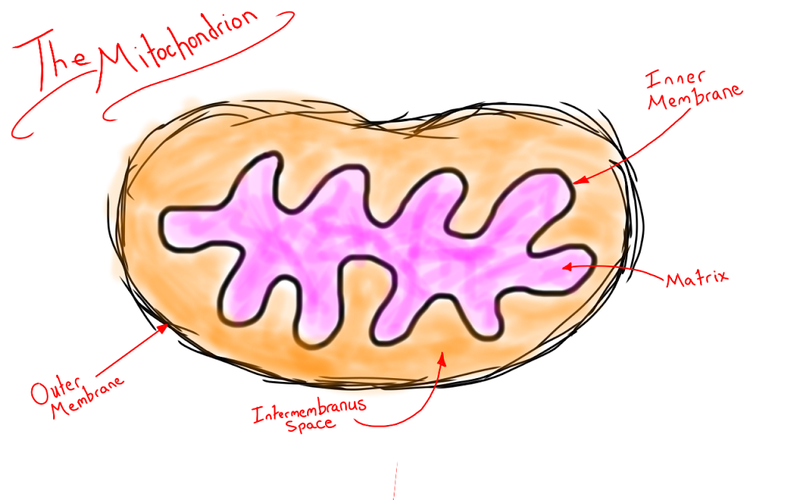 The mitochondrion is, in my opinion, one of the most fascinating and incredible organelles in our cells. Really, I promise that mitochondria are going to surprise you. Stick with me here and I’ll try to tell you a story about mitochondria, and about your own body, that you likely have not heard before. I promise to keep the science talk as colloquial as possible. A very basic knowledge of biology is all that is required to feel very comfortable here, 7th grade biology should cover you. If you don’t have that much biology knowledge rattling around in your head, then you will have at least some of it by the end of this article! Don’t skip ahead, and try not to despair over the length. I realize that reading a long story is a big obstacle when it comes to making science seem fun, but this story could easily fall under science fiction if you didn’t know any better. Also, long doesn’t necessarily mean boring. At minimum you will think, “Huh, that’s pretty neat”, but more likely than not, you will spend the rest of the day cleaning your brains off the wall, after this story blows your mind wide open! Those readers who are even superficially familiar with cellular biology will probably remember mitochondria from their 7th grade biology class. You will possibly recall that the mitochondrion is an organelle responsible for manufacturing energy. The so called “Power House” of the cell. You might even remember it looking like the cross section of a kidney bean with a squiggly loop inside, much like the picture below. If you haven’t thought about mitochondria since the 7th grade, then your teacher flat out failed to tell you one of the most exciting stories in biology. Before we get to the really cool part, let’s make sure everyone is up to speed on how mitochondria work in our bodies, what they are for, and where they are found. 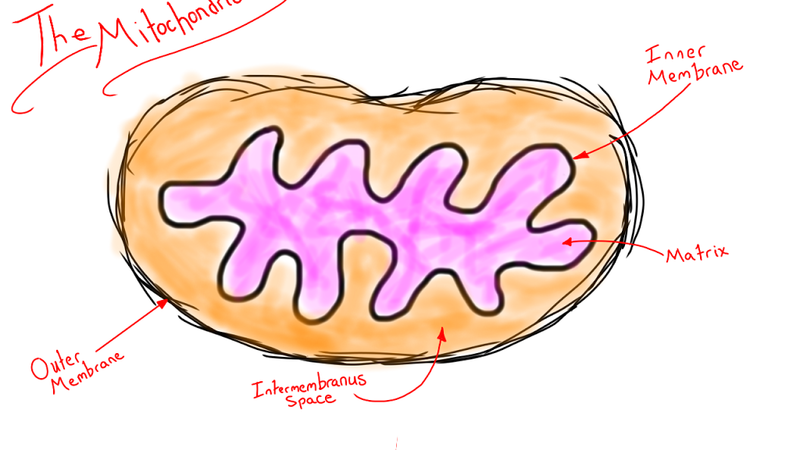 Yes, this is my best attempt to draw a simplified mitochondrion. Thanks college!